As it happens, one of my daughter’s earliest memories is about gelatina. When she was a toddler, she attended a pre-school in Mexico where the teachers served the kids a gelatina snack each day that was shaped like the Virgin of Guadalupe. She remembers looking forward to it and wondering what color the Virgin treat would be. Would she be green? Purple? Orange? As a foreigner living in Mexico, I’m dazzled by the shimmering spectacle and diversity of gelatina. 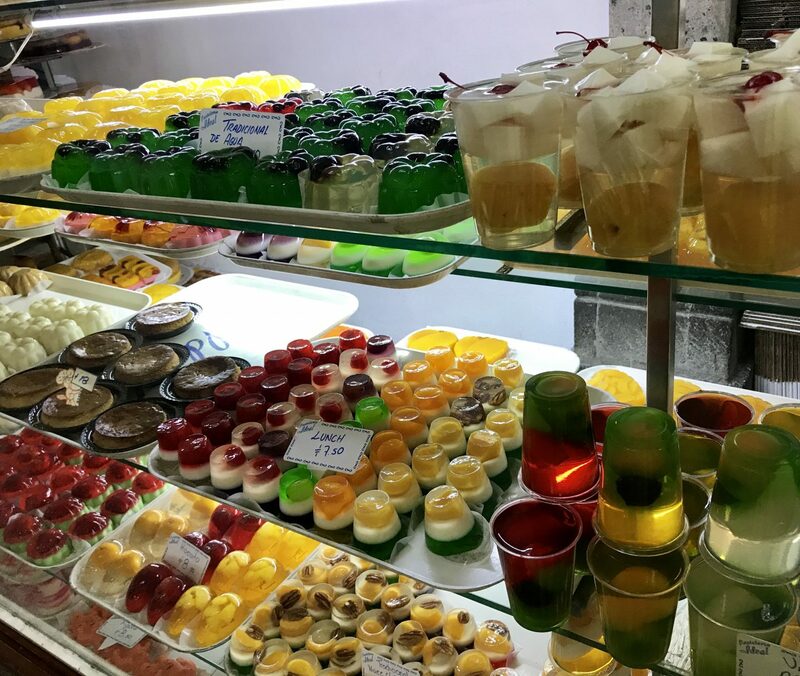 These gelatin desserts are sold by street vendors and in markets and bakeries across the city. Mexican gelatina has little to do with the ho-hum Jell-O of my 1970’s Florida childhood. 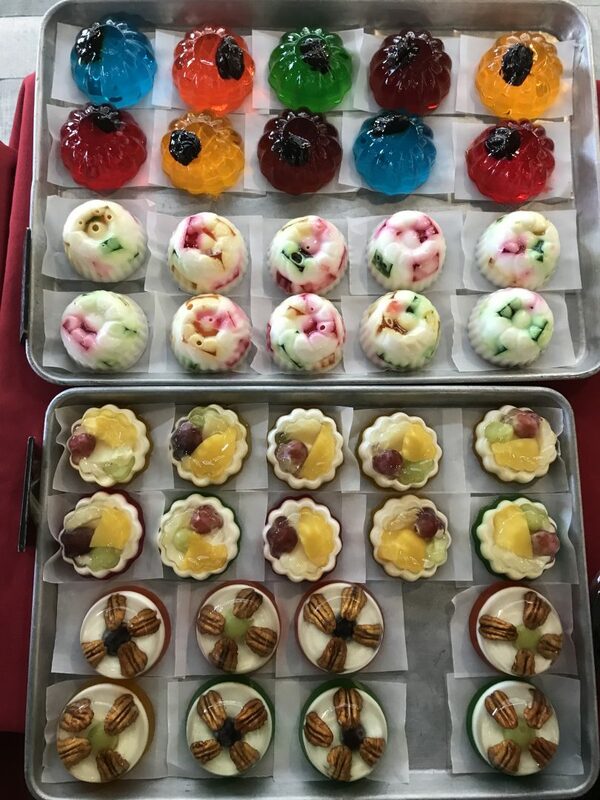 I grew up after the Golden Age of Jell-O in the United States (1930s–1960s), when both savory and sweet “Jell-O salads” graced dinner tables across the country—bonkers recipes like lemon gelatin layered with pimiento-stuffed olives, sweet pickles, and walnuts. My feminist working mother favored Jell-O for its ease of preparation. She considered it a healthy low-fat, light dessert. We ate single-flavored Jell-O (strawberry, pineapple, watermelon) prepared with water, maybe a few grapes or sliced bananas thrown into the mix when she felt fancy. Since the 1940s, Mexico City street vendors have sold gelatina snacks outside of schools, hospitals, and churches, as well as in traditional markets. Their glass-fronted push carts shelter the delicate, jewel-toned treats. These days, gelatinas can be found at bakeries and corner stores, on traditional Mexican restaurant dessert trays, and, of course, in home kitchens. Birthday parties, baby showers, patron saint fiestas, you name it—pretty much any occasion where friends and family gather calls for gelatina. It often accompanies cake rather than ice cream. Gelatin is considered vaguely healthy as it contains collagen protein that is derived from the process of boiling animal bones. Gelatina recipes call for first mixing gelatin powder with hot water or milk to dissolve it. Sometimes cooks use pre-flavored and pre-colored packets of powder, but it’s also common to start with a clear base, blending in yogurt, cream cheese, wine, spirits, or commercial flavorings, along with vegetable dyes, for the desired favor and effect. Raisins, nuts, and fruit are added for texture and style (plus additional nutrition) and, sometimes, colorful candy gets thrown into the mix for good measure. Individual portions are poured into plastic cups or small decorative molds. Even though the base ingredients are the same, the variety of gelatinas in Mexico is astonishing. Large, cake-like gelatinas are also made with molds. Often they feature layers of contrasting colors and flavors. Mosaico (mosaic) gelatinas are created by cutting cubes of congealed gelatin, mixing them into a cool, but not yet firm, different-colored gelatin, and then refrigerating the mixture in a mold until it alchemizes into a solid whole. Gelatina figura are especially popular with children. They depict whimsical figures, such as animals, cartoon characters, cars, aliens, and even books. 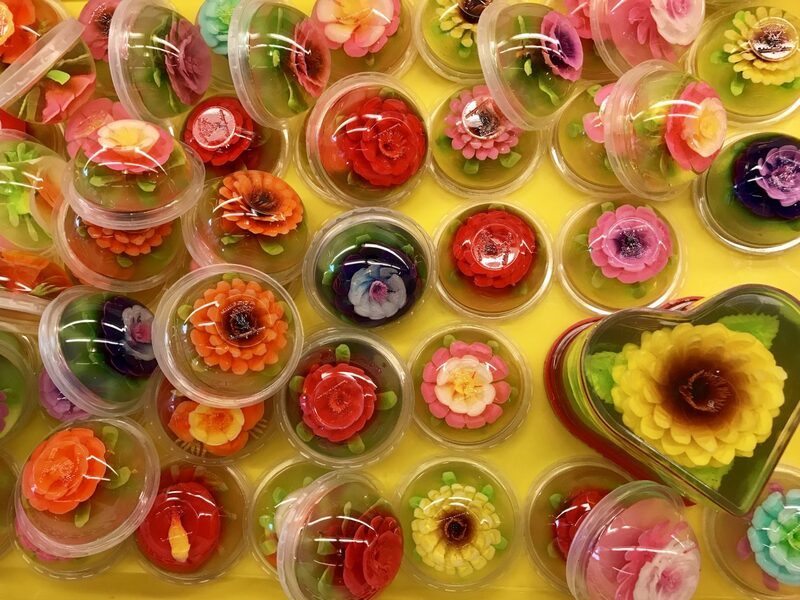 Lastly, gelatina artistica are mind-blowing 3-D flowers created by using needles and syringes to inject opaque, milk gelatin into translucent, water gelatin domes. I love all of it. There’s a poignancy to the ingenuity and effort that Mexicans use to create magic with the humble ingredient of gelatin powder. These edible folk art concoctions are as ephemeral and beautiful as life itself. Here are three Mexico City bakeries that make all sorts of fabulous gelatinas. Founded in 1927, Pastelería Ideal is an iconic Mexico City institution. 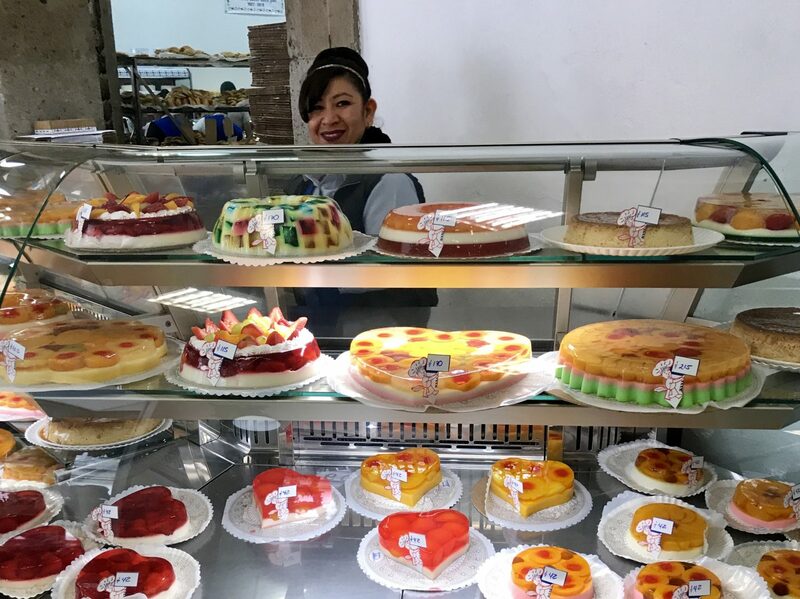 This over-the-top bakery in the Centro Histórico is famous for its huge assortment of traditional Mexican breads, cookies, and cakes. The gelatina counter is front and center when you step through the front door. The glistening array of old-fashioned gelatinas sets a mood of nostalgia. 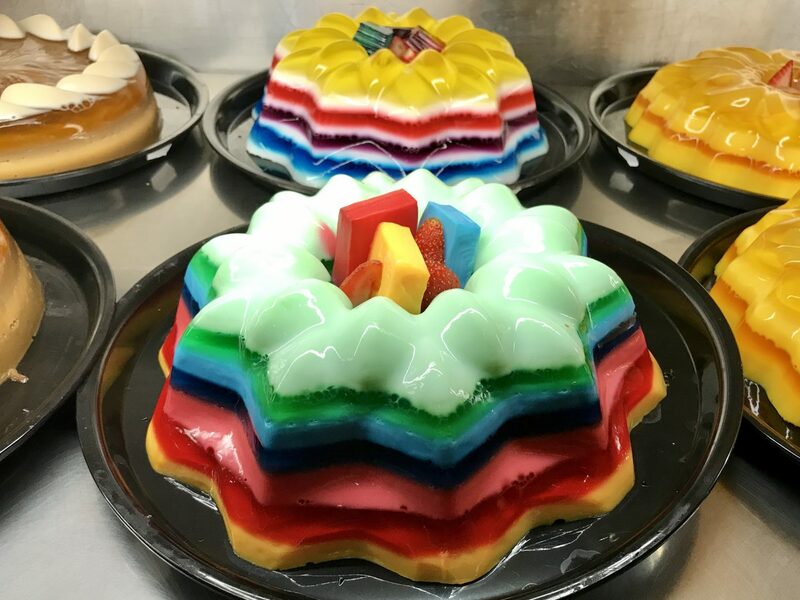 The bakery makes more than 50 different kinds of milk and water-based gelatinas, ranging from pastel-hued hearts to egg-shaped huevitos complete with apricot yolks to plastic cups called vaso tequila that are infused with the hard stuff. Classic vanilla and strawberry gelatinas are the most popular. 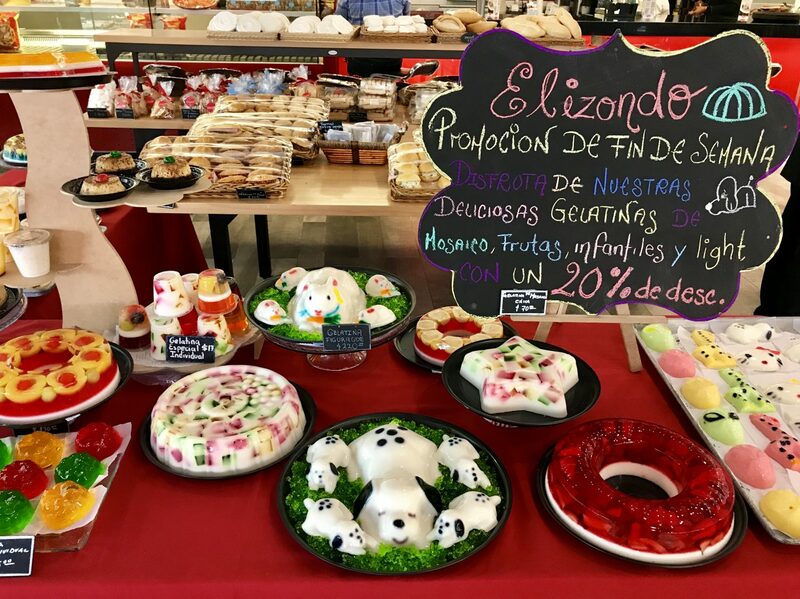 Pastelería La Miniatura is known for both its miniature cakes—multi-tiered, full-flavored treats designed for children and calorie counters—and for its intricate gelatina artistica. 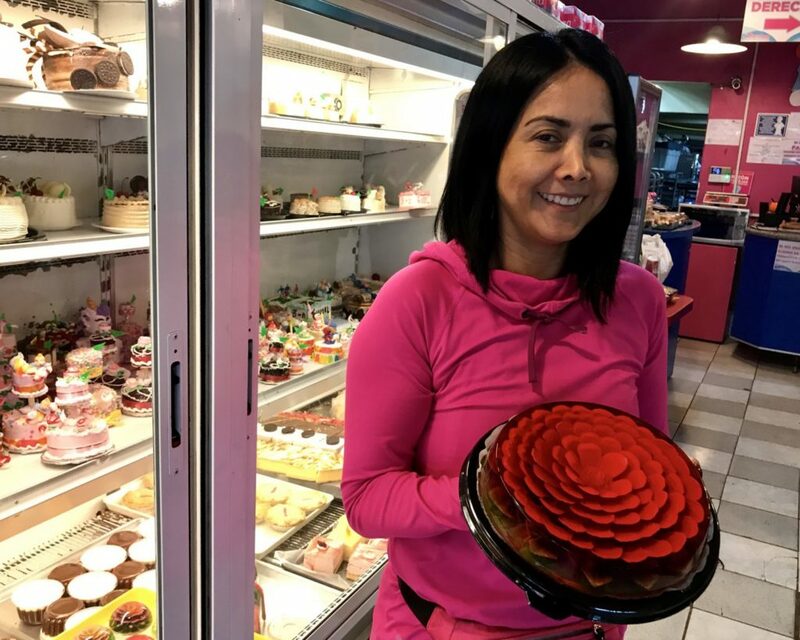 The 45-year-old bakery in the Doctores neighborhood makes small and large-sized roses, sunflowers, and calla lilies. Each takes about ten minutes to make. The day I recently visited, all of the flowers tasted like lime, but the bakery also makes a couple dozen other types of gelatina, including peach yogurt, milk with pistachio, pineapple, strawberry, and the bestselling combo: Nutella con queso crema Philadelphia (Nutella with Philadelphia cream cheese). Pastelería Elizondo is another venerable favorite. Since 1943, Mexico City families have flocked to this Polanco bakery to procure sweets for every occasion. The bakery’s gelatina offerings are a winning mix of tradition and innovation. The bakers make about 20 sorts of gelatina each day, changing shapes and flavors in response to the seasons. For example, during Christmas, they use red wine and for Day of the Dead, they make skeleton-shaped gelatinas. Their classic mosaicos and ones with fruit are perennially popular, but the bestseller these days is a showstopper milk gelatina figura depicting a mom Dalmatian and her puppies on a bed of green grass. Could anything be more delightful? Gina Hyams lives in San Miguel de Allende and visits Mexico City as often as possible. 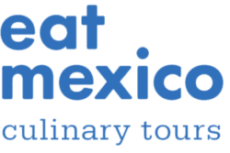 She is the author of 12 books, including the bestselling travel-design titles, Mexicasa and In a Mexican Garden (both published by Chronicle Books).